With the arrival of the winter, it brings snow, colder weather and people also witness the arrival of colds, flu and viruses. Their consequences are annoying and sometimes very painful. We have to deal with stuffy noses, sore throats, headaches and coughing. It is really important to react as soon as you notice some of these signs. Certainly, healthy diet, herbal teas, fresh air and rest can be very helpful but people usually are starting to use cough drops once the coughing starts. This is a logical choice because cough drops have proven to be a really effective way to calm a sore throat and prevent cough. That’s why many pharmaceutical companies have started to create these drops. However, this doesn’t mean that all cough drops provide the same results. Most of these drops come with some potentially risky ingredients which can ultimately lead to some other problems. For example, cough drops based on cooling mint or honey can ease the pain and prevent coughing but they usually contain large amount of sugar. Some manufacturers use certain medications as part of these drops that might come with some side effects. In case if you didn’t know menthol is a compound that can increase your heart rate if it is taken in high doses (some cough drops contain such doses). The good news is that there are many natural remedies which can be very helpful when you try to stop a cold. 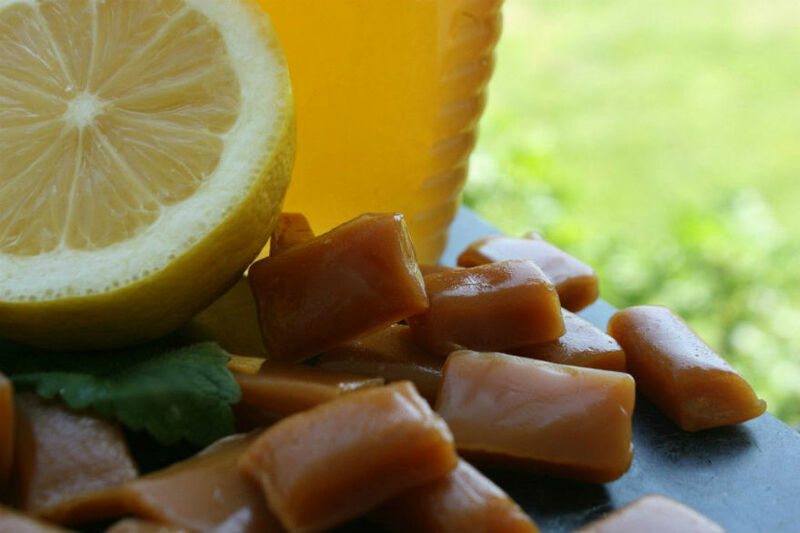 In fact, you can make your own completely natural, organic and homemade cough drops. You don’t have to look for some special ingredients and the process is short and easy. On top of that, you will know exactly what’s inside the cough drops once they are prepared. If you want to avoid potentially dangerous ingredients and avoid high amounts of sugar you should follow the following instructions. Pour the water in a medium sized saucepan. Place the saucepan on the stove. Add all the herbs at once and stir well. Once you get herb water mixture, pour it in a mesh strainer. Since you won’t be able to use the entire mixture, pour the remaining mixture into the saucepan and use the 2 cups of honey. Keep the mixture boiling and use a candy thermometer. Once the thermometer indicates 300 degrees pour the mixture in the silicon candy mold and wait until it cools down. After that, simply shape the mixture into balls and let them completely cool down on the parchment paper. It will probably take several hours before they become hard. Before you use them, you can use waxed paper to wrap them. Since you can’t consume them all at once, try to store them in a suitable container. Keep in mind that you have created completely natural homemade cough drops which will certainly help your coughs and sore throat.